The dates have been set for this year's series and can be viewed on the 5k page of this web site, (see above). Only 150 entries will be sold on a first come first served basis. Entries to open shortly so watch this space! Those of you who regularly take part will notice this year the series starts later, this is to avoid finishing in the dark on the first race, (previously in April). Because of this we have added a date in August. The other major changes are entry online only and in advance for the whole series, plus a limit of 150 runners for the whole series. We are working on ways of recording finishers more quickly as they cross the finish line to hopefully reduce the congestion of last year. Unfortunately this will not be in place for the first race, hence the need to make the aforementioned changes for this year. Entry for the junior race is on the night, not online. 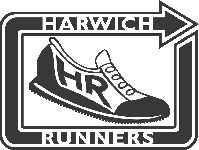 Please note although you will have entered and paid before the race night, you MUST report to the desk and register that you are running. Failure to do so will mean you will not have a start time.